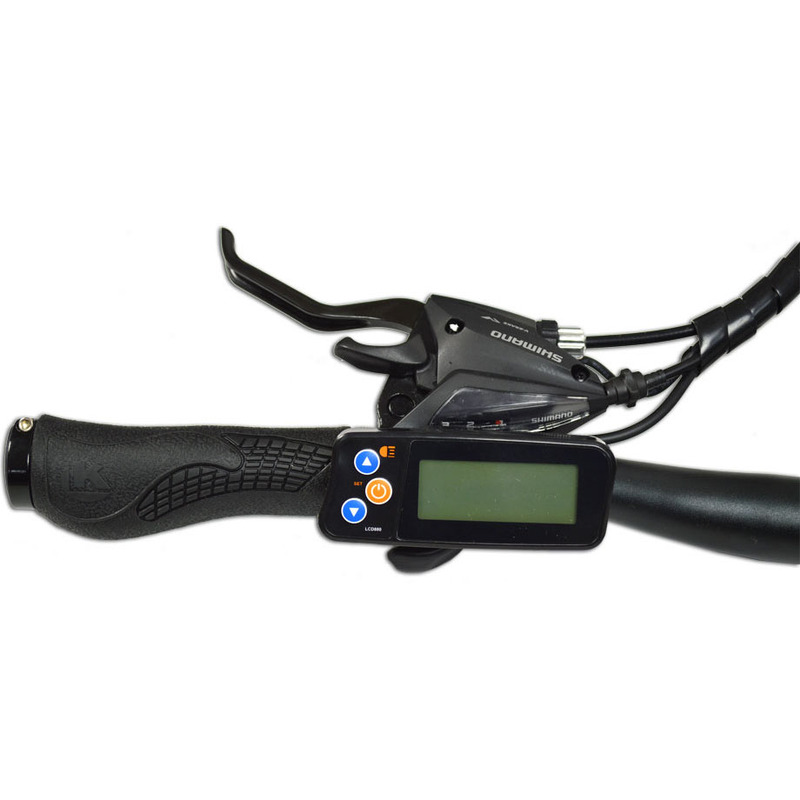 brand new version with LCD control panel for greater setup control and information! The Li-Po battery is nicely disguised as a drinks flask and securely attached to the aluminium frame. The brushless motor has plenty of power and will push the bike to the UK maximum legal speed of 25KM/H making it totally road legal. Please note with this new version the maximum speed the bike will go without moving the pedals forward is 6km/h. 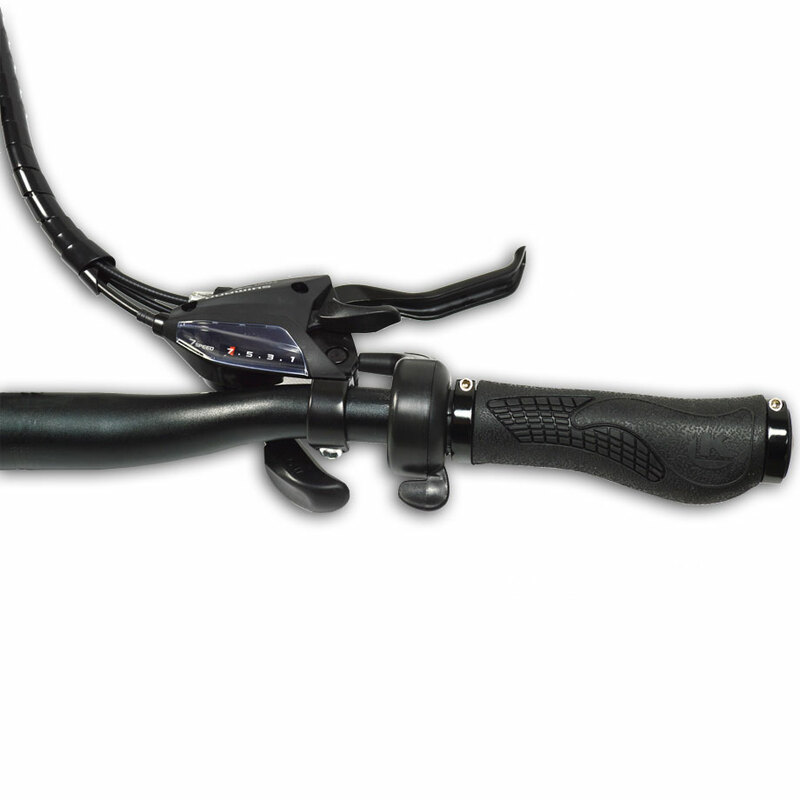 Other features include kick stand, battery life indicator and rust resistant chain. With this product, you earn 991 loyalty point(s). Around 40km depending on weight and motor use. Aluminum suspension fork. Suspension is lockable and adjustable. 100mm travel.